Arriving at the Queen Mary, it was quickly apparent that the promoters were serious about throwing an epic reggae festival. Even though it was a bit overcast, no one in attendance was going to let that slow them down. The grounds were packed with people milling about, exploring the vendors, and getting familiar with the two stages. Getting from one stage to another was a fun experience in that you had to cross a bridge or go through a tunnel; this made it almost feel like you were going into a different venue altogether. This also prevented the bands from bleeding into each other’s sets, thankfully while providing room for the myriad of vendors and people milling about. It seemed that nearly every kind of food could be had: burgers, tacos, vegan, and the list goes on and on. There were also plenty of vendors for smoking enthusiasts showcasing all the varieties of vape juice, papers, and everything else. Of course, the main draw was the artists. FORTUNATE YOUTH was one of the earliest acts in the day, and their unique sound got the crowd going. Their bongo player was especially intense, with furious whirlwind hands creating some interesting rhythms. What really stood out was the full band lineup, and the way they used it to create the good vibe sounds people love about reggae. 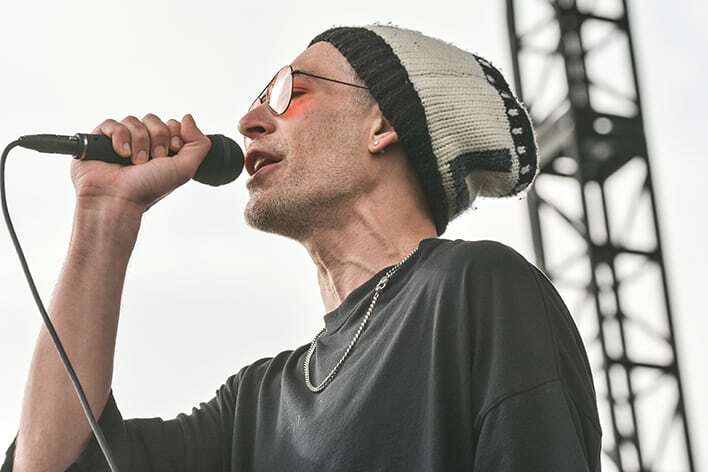 MATISYAHU also went on early in the day, putting his full weight into bringing his unique vibe to the party. The band was loud, exploring noisy and spacey terrains they have become heralded for. And the steady rhythm section paired with Matisyahu’s signature lyric/writing style created a fascinating wall of sound that got the whole crowd buzzing. TOMORROW’S BAD SEEDS were a major crowd favorite. Minutes before they took the stage, a chant of “TBS! TBS!” could be heard from many devoted followers. Their upbeat set began, and immediately the whole crowd was moving. The fusion of rock, reggae, punk, and pop was apparent; it also sounded awesome. As they got to their more rock numbers, a mosh pit furiously began becoming tough to avoid. Throughout their set, it was quite a treat to see TBS and the fans feed off each other’s energy. Sadly, it was only a thirty-minute set but was a shining example of the shared camaraderie of this scene. Then ATMOSPHERE took the stage. 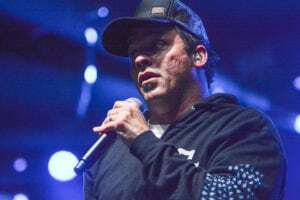 As the crowd cheered, lyricist Slug disarmed them by sarcastically clapping and saying “Atmosphere, yay…..” (evoking a number of laughs from the audience). Their hour-long set was diverse, with some great melodies and real talk by Slug that showcased why Atmosphere is so legendary. 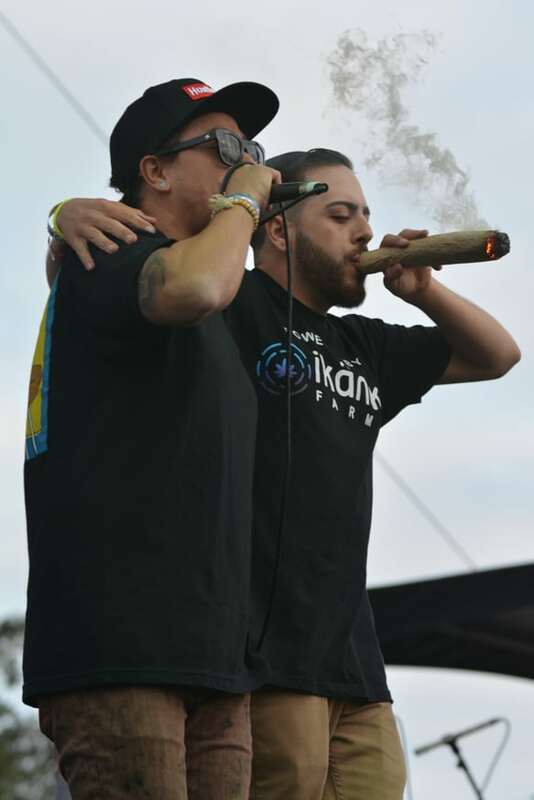 The Long Beach reggae scene came together as one, and put on one excellent festival. 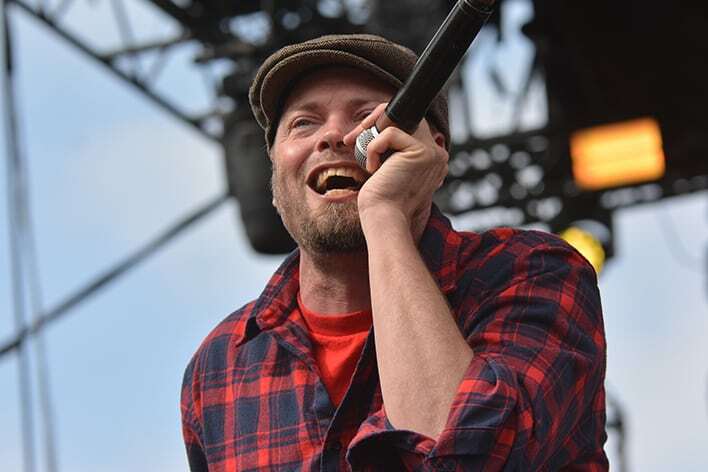 The lineup was diverse, with nearly every permutation of reggae-inspired music on display. Whether you’re a newcomer or a devout fan, the One Love Cali Fest is a great way to get to know this music on a more intimate level.